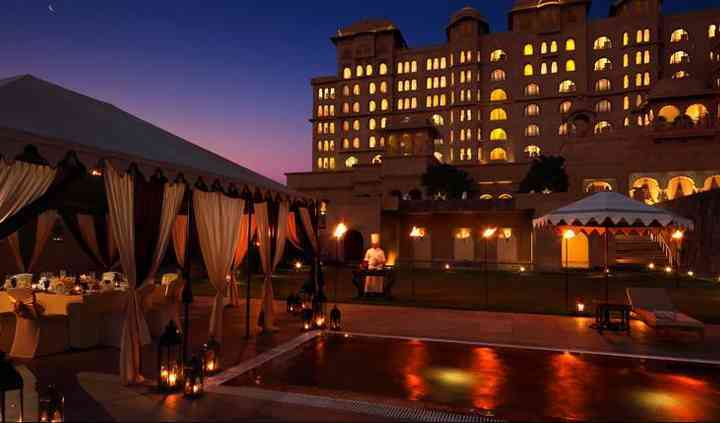 Complementing the Pink City with Mughal and Rajput era architecture and splendid interiors, Fairmont is a epitome of world class hospitality, and class. 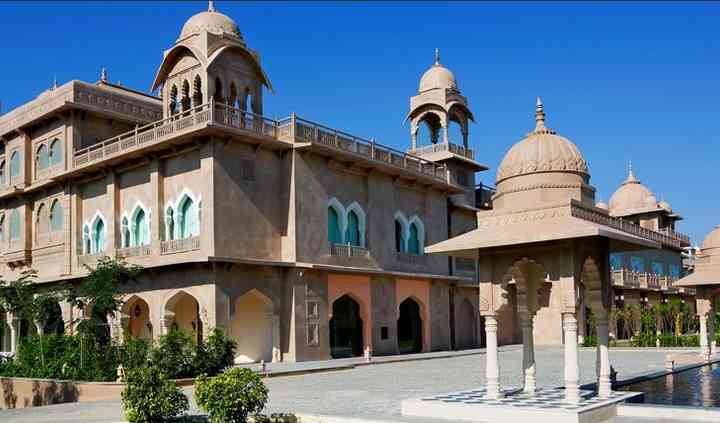 It is a stunning wedding venue, which offers luxurious and regal ambiance to conduct a grand celebration. 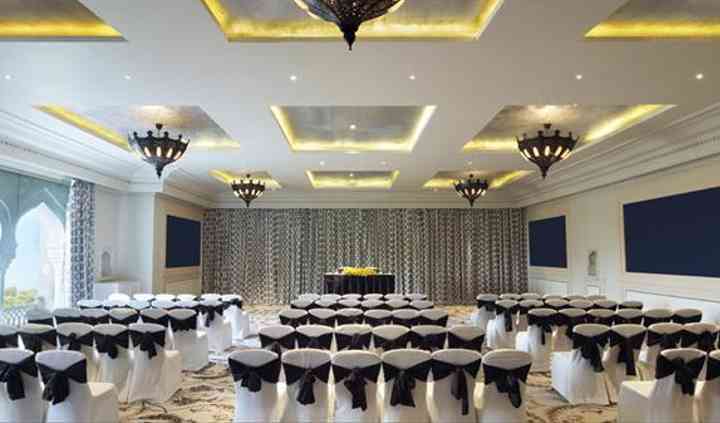 This five star hotel has spacious outdoor and indoor spaces for conducting big and small events. Fairmont combines splendour, rich history and captivating decor for you to celebrate your wedding impeccably and perfectly. Fairmont has the city's largest convention hall and also features other smaller halls which have a combined capacity to seat up to 2000 people and can hold 3000 guests. The expansive lawn can accommodate 1500 people and can seat up to 1000. There are banquet halls and reception halls for multiple wedding functions. Hotel rooms will be provided to serve as bride/groom changing rooms. The parking facility boasts a capacity of 120 vehicles and you will also get complimentary valet service. The event management team at Fairmont will coordinate and manage every minute aspect of the event, with maximum attention to detail and will provide thoughtful ideas to make your event spectacular. Decoration, catering, logistics everything will be handled perfectly. They also offer guest accommodation at this venue to be complacent to the needs of you and your guests who may be traveling from afar to be assimilated in your gathering. Fairmont is a favourite for hosting galas and high profile events, so you will get an experienced and innovative catering team to serve you special menus and the choicest cuisines. You will also be introduced to the Lifestyle Cuisine program that specialises in healthy menu catering which includes dietary recommendations and regional cuisine enhanced by the herbs from the hotel garden. Fairmont offers 199 guest rooms, finely decorated boasting timber doors, foyers, and vaulted ceilings, with minimum of 51 square metres. 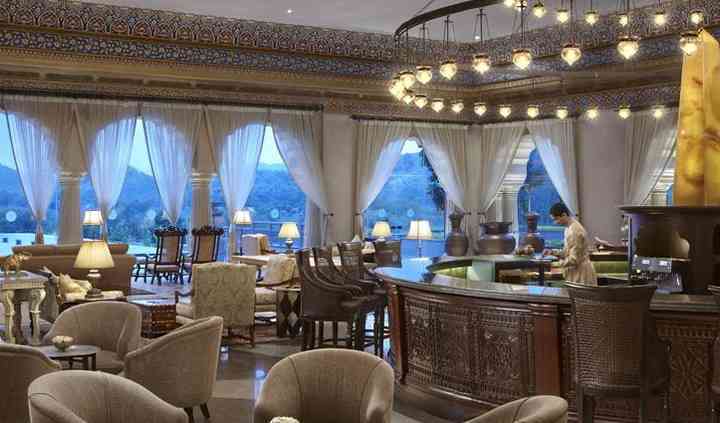 All rooms have modern amenities and facilities and each room is a bespoke residence featuring unique details and offers excellent views of the Aravalli Hills. From having an array of well-furnished rooms which are equipped with latest facilities, this makes for one of the most sought-after venues to be considered for hosting your nuptial ceremonies and functions otherwise as well.